This is a pretty good exposition of the “bundle theory” of consciousness. The idea is that “consciousness” does not exist: all there are are discrete conscious experiences, which combine to form the illusion of an integrated cohesive mind. 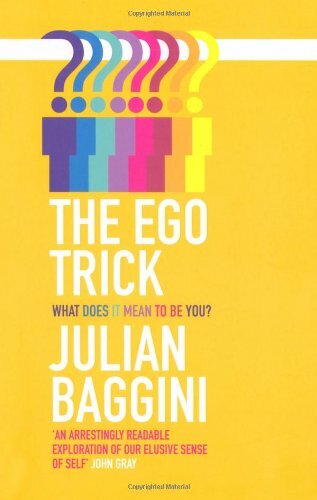 This is the “ego trick” that we all play on ourselves. These days I feel that this is something like the truth, but I will need to do a lot more thinking and read a lot more books like this one before I am fully comfortable with the idea.